Sony to offer a new high-end device powered by Firefox OS according to Mozilla exec! Firefox OS from the guys over at Mozilla has so far been confined to the budget devices and the most impressive device in terms of specifications and appearance goes tot he Geeksphone Peak in our opinion. The device itself only has a modest set of internals and it definitely doesn't compete with any of the new flagship devices from the Android manufacturers. "Sony is known for quality and user experience. So they are targeting for very very high (end). We are in joint discussions on the kind of device and what's the product." "The low-end entry point devices are good point to enter the market. But that doesn't mean we can't scale up or we don't want to scale. We do want to scale up... But an ecosystem takes some time to build." "People like to see us because we are totally transparent. All the products, all the roadmaps, the delivery, feature sets, bugs, fixes, everything is open. Anybody can come in and see where it's headed." 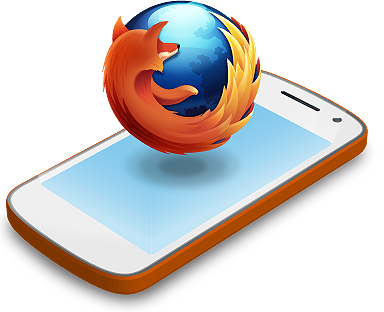 The only real issue for Firefox OS and Mozilla is the competition. There's Windows Phone from Microsoft, Ubuntu Touch from Canonical and there's Samsung's Tizen platform which we;ve yet to see land on the market yet. Mozilla need to make the most of the partnerships they have with carriers already and they need manufacturers and designers to do truly unique things which capture people's attentions and minds if they have any chance of competing with the current line up of mobile operating systems!